Soft shield fern. Soft dark green fronds are produced in an arching shuttlecock shape. Height and spread to around 0.9-1.5m x 0.5-1m. Good for shady borders or under trees. Humus rich moist soil is..
Japanese sword fern. 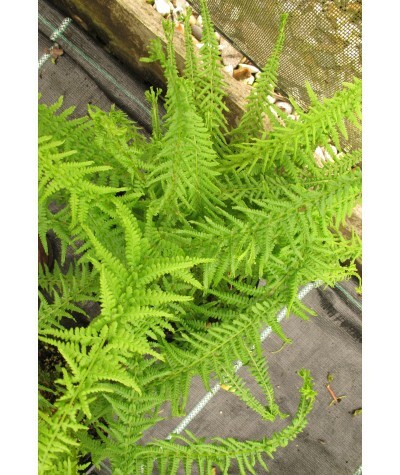 Gorgeous evergreen fern with a maximum height of 3ft (1m). This species is easy to grow. Plant in humus rich, moist soil in part shade. 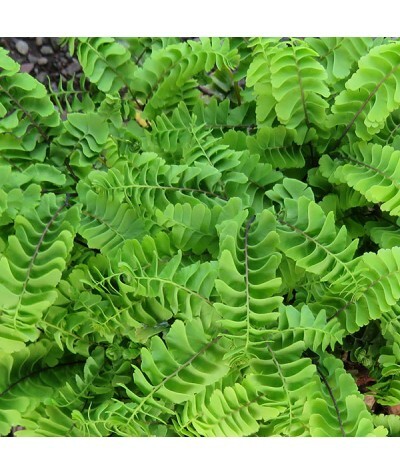 It has broad shiny green fronds that eme..
A beautiful and dwarf form of maidenhair fern. Green deeply cut fronds with black wiry stems. Needs a moist, humus rich soil in partial shade. Forms a dense clump and is good for edging. Protect fr.. Sword Fern. 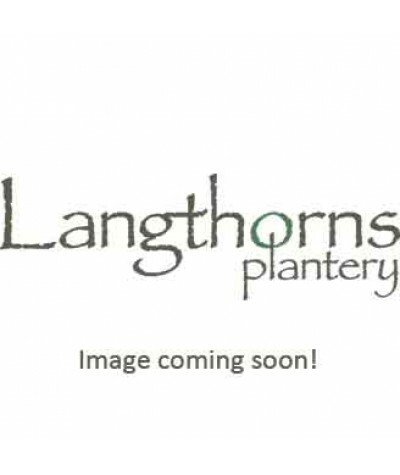 Evergreen with lustrous dark green arching fronds growing to 90cm (3ft). Needs a good humus rich soil in part or full shade. ..
Fresh bright green fronds forming a vase shape rather like a shuttlecock hence it's common name 'Shuttlecock Fern'. Needs a lot of moisture or even boggy conditions. Height and spread to around 1.5.. The harts tongue fern. 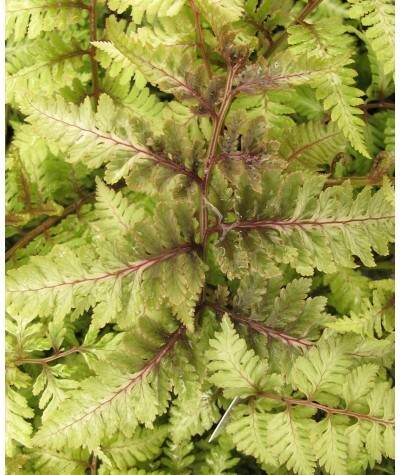 Indigenous dark green glossy fern. Keeps its glossy appearance all year round. Grow in moist soil in shade or part shade. 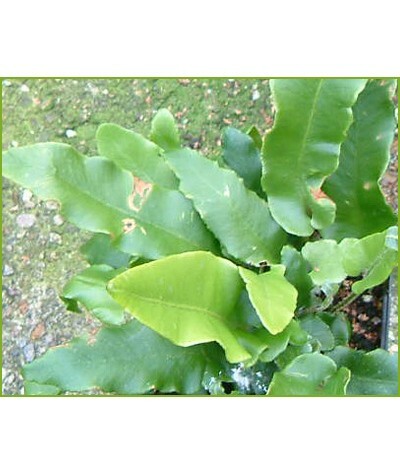 Leaf mould is a good thing to add to the soil prior ..
A very attractive form of the hearts tongue fern with it's ruffled edged, strap like, evergreen leaves. Prefers a humus rich moist soil in dappled shade but is often found growing in dryish cracks ..
Red stemmed Lady Fern. 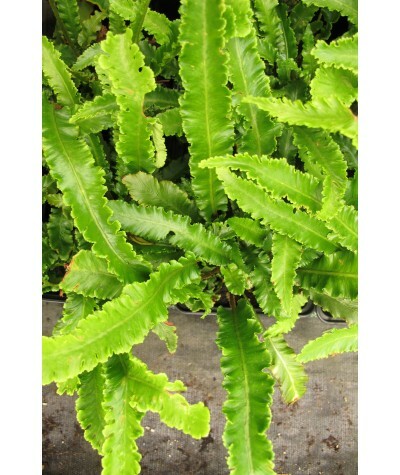 Handsome fern with tall lacy fresh green fronds with bright red stems. An award winning form of the native Lady fern. 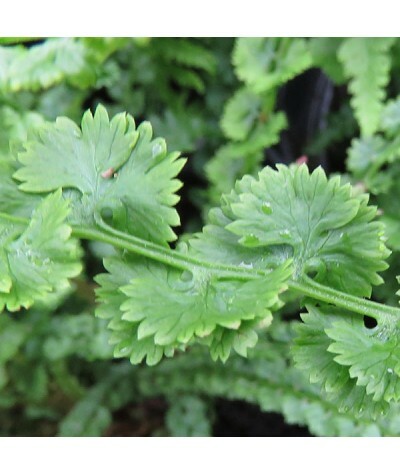 Grows best in moist soil in dappled shade. Height and sp..
Tatting Fern. 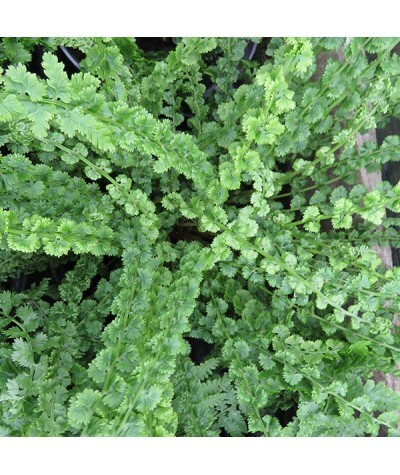 Distinctive fern with delicate small rounded fronds with fingered edges are arranged on long thin stalks. Maximum height 50cm. Maximum spread 30cm. Best in a shaded site. Hardy. Water.. The Queen of Green. Fronds unfurl in spring with the delicate appearance of the lady fern but are crested at the ends of the pinnae and arranged in a criss cross pattern. 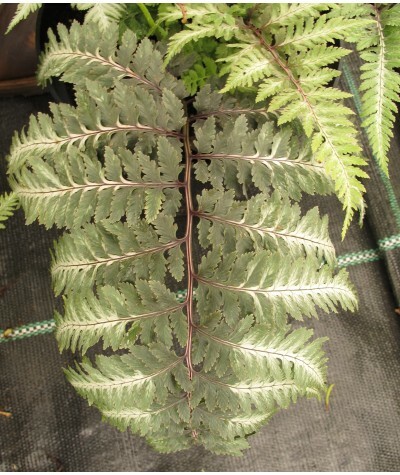 An attractive form of The Lad..
A variety of Japanese Painted fern noted for its metallic silvery fronds. Height to 45cms. Any moist humous rich soil shade. ..
A select form of Japanese Painted fern with pewter coloured fronds with lime green edges and red/purple veining. Non invasive with a height and spread to around to 45cms. Any moist humus rich soil ..